Summary: A judge has dismissed without prejudice a copyright lawsuit against Justin Bieber. Four years ago, Justin Bieber and his mentor Usher were sued over the pair’s hit “Somebody to Love.” On Thursday, a judge dismissed the $10 million copyright case without prejudice so that the plaintiffs could not file an appeal. In 2013, Devin “De Rico”Copeland, a lesser known R&B singer, and Mareio Overton, a songwriter, sued Bieber and Usher. They stated that “Somebody to Love” was a copy of their song of the same title, and this infringement included the song’s title, signature, and beat. 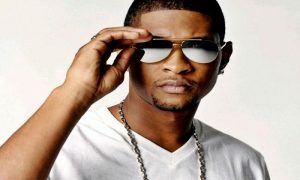 They said that their 2008 “Somebody to Love” was given to Usher’s mother Jonetta Patton in 2009, which was a year before Bieber recorded his version that was based on an Usher demo. Unfortunately for Copeland and Overton, the judge dismissed their case, stating that they failed to prove that Bieber and Usher had access to the plaintiff’s work. U.S. District Judge Arenda Wright Allen had previously dismissed this copyright case in 2014, but the case was revived later that year, after an appeals judge stated that a jury could find versions of the song to be “intrinsically similar.” In the appeal, Copeland and Overton said that they should have been given a jury trial, not have their case ruled only by Judge Allen, who on Thursday said again that the case had no merit. This is not the first time Bieber has found himself a defendant. Earlier in 2016, singer White Hinterland sued him and DJ Skrillex for allegedly stealing parts of her song “Ring the Bell” for Bieber’s hit, “Sorry.” He is also involved in a pending civil lawsuit with his former neighbor, who alleged Bieber emotionally traumatized him when he egged his house and spit on him. Do you think that Judge Allen should have dismissed this case? Let us know in the comments below.